This may not be the most spellbinding book that I have ever read. However, I believe it is important and timely for all of us to understand the constitutional history and broad interpretations in our U.S. impeachment process. 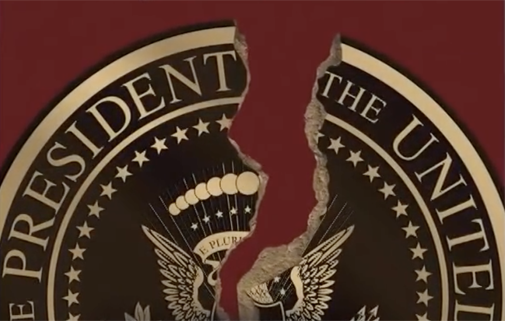 I find myself saying…let’s just get rid of him…quickly… But constitutional law professor at Harvard, Laurence Tribe and constitutional lawyer Joshua Matz, our authors, counsel caution. Clearly it is a complex process. To End a Presidency is an objective walk through history from the time of the Founding Fathers to our current dilemma. It takes us to a time where the Senate could execute or imprison a President on conviction or considerations of oversite by state legislatures. Tribe and Matz, in this book, want to make clear that impeachment process should not degenerate into a device to warn the White House that the populace is unhappy with one or another decision or way of governing. It should be a last resort process that is used sparingly, only when the fate of the nation is at stake. The authors caution, even in cases where the chief executive has taken actions that could rather clearly be called “high crimes and misdemeanors”, the House of Representatives holds the power to impeach, not the duty to do so. They state, “under most circumstances, removing the president from office is bound to be divisive and disheartening. House members should consider the political reality of whether the evidence they can present to support any articles of impeachment they draw up will be persuasive to the two-thirds of the Senate necessary to convict.” In the current extremely partisan political atmosphere, that may be an impossibly high bar. Lastly they ask the question, “is removal worth the price the nation will pay?” The process is drawn-out, high drama and may embitter Americans against one another. These are all issues to be considered. I don’t believe Tribe and Matz are telling us that impeachment may not eventually be the solution for disposition of our current administrator. They clearly articulate issues already surfacing that quite possible qualify as “high crimes and misdemeanors”. But after reading this book, you realize just what a difficult journey may still be ahead for our nation as we exercise our hard fought constitutional checks and balances.